In the middle years of the ninth-century, the fierce Danes stormed onto British soil, hungry for spoils and conquest. Kingdom after kingdom fell to the ruthless invaders until but one realm remained. And suddenly the fate of all England -- and the course of history -- depended upon one man, one king. 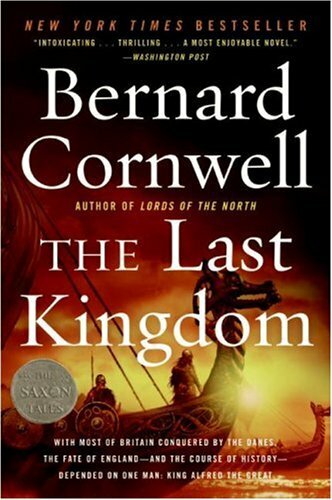 From New York Times bestselling storyteller Bernard Cornwell comes a rousing epic adventure of courage, treachery, duty, devotion, majesty, love, and battle as seen through the eyes of a young warrior who straddled two worlds. Sharpe's Revenge, Sharpe's Siege, Sharpe's Regiment, and Sharpe's Waterloo. He has also written other works including Wildtrack, Killer's Wake, Sea Lord, Stormchild, Rebel, Copperhead, and Battle Flag. His title Death of Kings made The New York Times Best Seller List in 2012 and In 2014 his title The Pagan Lord made the list again.